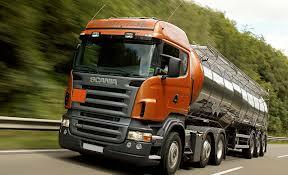 Scania manufactures a long line of different heavy duty trucks to meet different kinds of transport needs. From 18-wheelers to transport goods coast to coast, to construction trucks, these multi-purpose trucks all fulfill special functions. This type of heavy duty vehicle also requires an alternator that is able to withstand a large electrical output. A stock Scania truck alternator is usually manufactured by well-known companies such as Mitsubishi or Bosch, and these heavy duty alternators do perform well; however, this high performance comes at a cost. These types of heavy duty, high output Scania truck alternators are indeed reliable and durable, but in addition to their high output, they also cause high RPM. There are very few alternators on the market that are able to solve the high RPM problem. Eco-Tech provides a safe and reliable alternative. A 160 amp Eco-Tech alternator can operate at high output with speeds as low as 1.800 RPM, while the very best its competitors can do is 2,000 RPM. 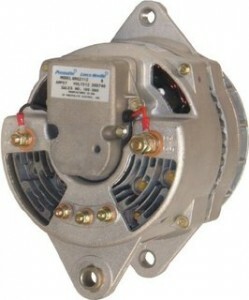 Many of these individual heavy duty alternators have a much higher “low” threshold. A heavy duty vehicle needs a high output alternator because of the electrical charge needed when these vehicles are sitting at idle. A high idle alternator produces several problems. First of all, it takes an unnecessary toll on the engine. An engine that consistently sits at high idle for long periods of time will no doubt wear out more quickly, and requires more maintenance and replacement of components. This also takes a serious toll on the battery, as well as the alternator itself. 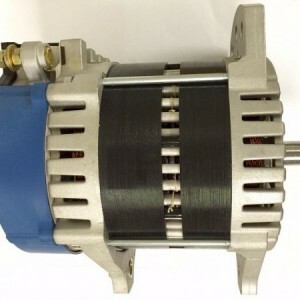 This type of high RPM alternator also typically forces companies into installing extra components onto vehicles, such as multiple battery packs, load shedding devises, and high idle devices. A switch to Eco-Tech eliminates the need for these extra parts. Perhaps the best thing about a switch to Eco-Tech is the elimination of the fuel penalty while at idle. In other words, it is much better for the environment and saves thousands of dollars per year in fuel costs. The common sense choice is clear – reduction of the carbon footprint and substantial savings from an Eco-Tech alternator should make you second guess the Scania truck alternator that you have installed.